After a long period of unsettlled snowy conditions, high pressure has started to dominate and with the full moon the night-time views of the mountains have been stunning. We spent half an hour down at Les Gaillands playing around trying to get some decent shots. I seem to be having a lot of trouble getting in focus images so not sure why that it when Sandy has the same camera with no problems. 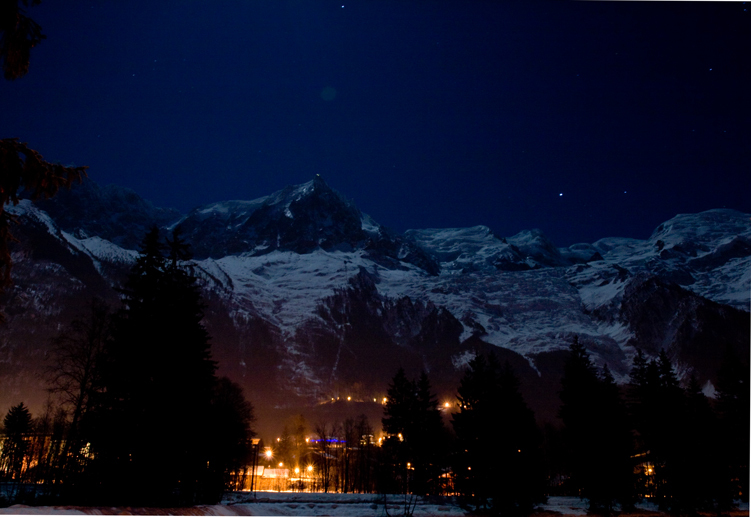 With snow to the road its definitely time for that moonlit valley blanche – shame he midi is closed for work!